Have you experienced moments of true unity and enlightened thinking? Would you like to know how to sustain such moments so that they become a way of being? The Steps to Enlightenment Course offers you deep insight into your higher (or more subtle) levels of consciousness. It provides you with a practical framework and sadhana that empowers you to take advantage of these aspects of your awareness and bring their strengths into your everyday life. It is aimed at those who are serious in exploring what it might mean to live an enlightened lifestyle, to experience an enlightened consciousness and to live in a state of deep connection with our highest potential or great Self. It is one of the most exciting courses we have ever facilitated. The course is focused on accessing two levels of your conciousness known as Vijnanamaya kosha and Anandamaya kosha and giving you pratices that help to strengthen your awareness through them. Vijnanamaya kosha - the creation body, the layer of consciousness that manifests the very world we exist in. It is the layer in which our intuition is born and through which the power of manifestation is brought into reality. This course offers you the tools, techniques and insights for you to become a master designer of your world through accessing the power of your own vijnanamaya kosha. Anandamaya kosha - the bliss body, the link between perfect connection and our lives as we experience them day-to-day. It is the layer in which divine coincidence; support in nature, the deivam factor or grace operates in our lives. The course will introduce you in depth to the mystical experiences that the great seers have talked about across the centuries in every spiritual tradition. You will explore how to harness this unlimited power of potential and creation, in your life. This course has created massive interest so if you’d like to come, please secure your place as soon as possible. The Steps to Enlightenment course uses kriyas, meditation methods and mantras that go beyond anything that you will find in a teacher training program. They are based on original teachings given to the founding members of Dru in the late 70’s and early 80’s as they were laying the foundations of what has now become an international organization of harmony, care and practical peacemaking. They are rooted in ancient traditions, have been shaped by the teachings of Gandhi and developed into a program that is relevant and practical for today’s lifestyle. These techniques can provide you with seeds of inner strength and a wellspring of harmony and connectedness that will infuse your activities, projects and daily life with power. "Steps is unique because of the process Dru has cleverly designed to realign your energy through specially designed practices. The practices have gleaned the essential ingredients from potent, ancient meditation techniques I have never seen or experienced anywhere else. They provided me with a powerful simple framework for meditation that I really feel a connection to. I look forward to the practice as I trust it and feel the effect of it. The techniques from Steps have become the mainstay of my practice even years after completing the course. I know they have assissted me to find the inner stillness, focus and many more moments with my greatest self"
If you would like to be a part of this extraordinary course don’t hesitate to send in your completed application form. This is a long awaited course for many and because of the level of interest in this Dru work you may want to act fast! This course is open to graduates of yoga and meditation teacher training courses. A demonstrated level of practice or experience is required, please see application form. Timing: 9.30am to 4.30pm daily. On the 9th & 10th March 2019 we will be holding an introductory weekend in Canberra. This is specifically for anyone who has not completed the Dru Meditation Teacher Training course. The weekend will give you essential practices that will prepare you for Steps to Enlightenment. Click here for more details and booking. Course fees include tuition, morning and afternoon teas. A deposit of $600 confirms your place after acceptance of application. This deposit is non-refundable once the course begins and offsets the final portion of your course fees. The course was developed by Chris Barrington, Director and Co-Founder of Dru in the UK, for the most advanced Dru practitioners - people who have completed either the yoga or meditation course. We realize that in Australia there are many yoga teacher training courses, there are an increasing number of meditation teacher training courses, but what is available to graduates and sincere seekers beyond these? So we approached Chris and asked if we could open this course to an audience beyond Dru graduates. We are so happy to have his blessing in doing so and to have the privilege of sharing the insights and teachings of a modern master yogi with you all. The Steps to Enlightenment Course aims to offer you an 'enlightened' way of living, a path where the experience of enlightened consciousness is available to you in all aspects of your life. Patricia is co-director of Dru Australasia and senior tutor on the teacher training courses, masterclass programs, international workshops, conferences and retreats. She has been teaching yoga, meditation and other related philosophies since 1984. She is also a freelance writer of yoga philosophy and is involved in global humanitarian peace projects. Patricia's passion to strive for spiritual enlightenment opened pathways for personal guidance from inspiring spiritual masters including Chris Barrington who created the “Steps" course. Her motivation is to share the knowledge and experience gained to enable others to discover the transformational power of Steps.Patricia knows the potential of these ancient and sacred practices to give you access to higher levels of consciousness and support your daily living. With over 20 years of experience teaching yoga, 25 years of corporate life and now heading up Dru Australasia as CEO, Janet has developed a path through the modern world that brings ancient yogic wisdom and practice into new and innovative offerings. Inspired by the opportunities that Dru courses give people to dive into their own authenticity and power, she shares this wisdom and practical knowledge to bring meaning and clarity. The Steps to Enlightenment course is one of the key ways Janet is able to take an eternal, spiritual foundation deeply into the lives of seekers of truth. 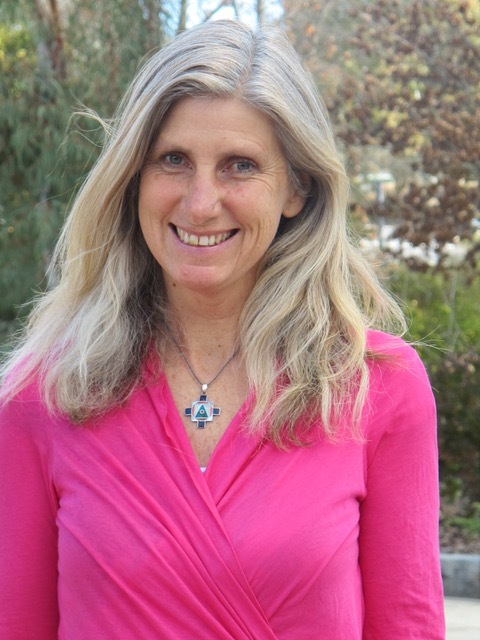 One of Dru Australia Directors, Noelene is a Senior tutor on our Dru Yoga, Dru Meditation and Post Graduate courses. After many years in Canberra working in government and non-government organisations, she now lives in Brisbane and travels to teach yoga and meditation throughout Australasia, and in the UK, Europe and India. Noelene is an experienced musician and linguist. She introduced the unique Dru Sound and Mantra course to Australia, and in this ‘Steps to Enlightenment’ course shares her wealth of knowledge of yoga and the use of powerful kriyas and Sanskrit mantra to achieve inner peace. Maggie Baker is an accredited teacher of Dru Yoga and Meditation, beginning her early years teaching Hatha yoga and study of masters of philosophies. Her love of meditation took Maggie to Wales twice a year for three years to complete the first Dru Meditation Teacher Training Course which became the catalyst to share her knowledge. During this time Maggie studied under Chris Barrington, a senior teacher, author and co- founder of Dru. Her yearning for a spiritual pathway forward encompassed studying the Dru Sound and Mantra course, Dru Steps to Enlightenment with Chris Barrington and continues studying a deeper spiritual based practice. Maggie's other passion is working with the World Peace Flame Education program in Primary Schools, both in Australia and Internationally. A certain level of regular practice in yoga and meditation is desirable to get the most out of this course, which we ask you to provide information about in your application. We are running an introductory weekend on the 9th and 10th March in Canberra (click here for more info), which we ask anyone who has not completed the Dru Meditation course to attend. We will notify you as soon as we have reviewed your application and set up appropriate payment arrangements to secure your place on the course. The course will be held at the MacKillop Conference Centre, Lynham (Canberra). On some occasions we may feel that you need to do some more preparation before joining this course, or that another stream of Dru would better serve you. If that happens your deposit is fully refundable, however, you may prefer to lodge your application before paying the deposit. You can download the application form and post your application or you can apply online by choosing the "pay later" option. We will notify you as soon as we have reviewed your application and set up appropriate payment arrangements to secure your place on the course.